Over May and June, we rolled out a number or product updates and have a couple of exciting announcements for Outlook users. This just in—we’ve launched an O365 add-in to Microsoft’s Office Store. 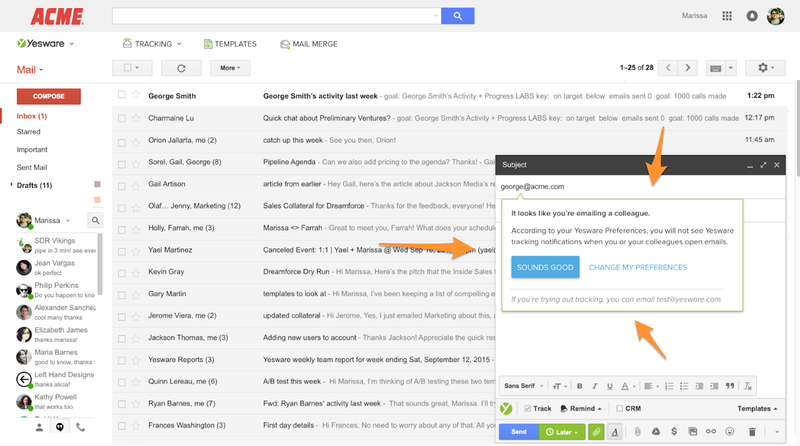 Now you can use email tracking from your web version of Outlook, not just your desktop version. Want the whole story? See the full update. This one’s a small modification, but one that makes things easier for users with Enterprise or Prescriptive Analytics subscriptions. 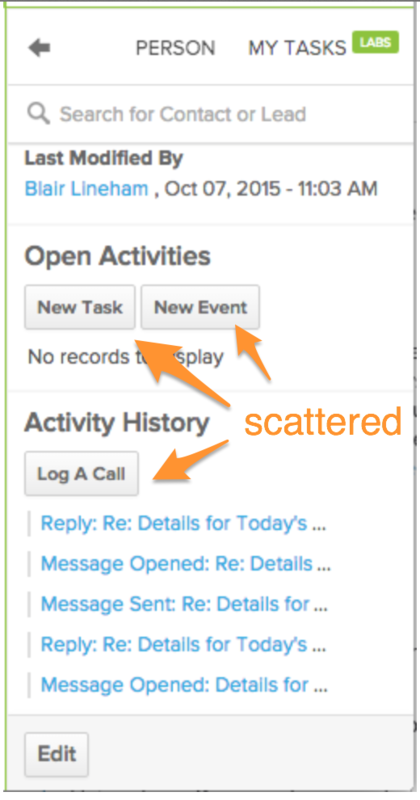 Back in May, we moved the action buttons in the Salesforce sidebar up to the top of the feature so that users no longer have to scroll to access actions like New Task, New Event, Log a Call, New Opportunity, and New Case. We expect this update to start saving users more time by removing the scroll and streamlining the location of action buttons for each contact view. With our most recent update, Yesware updates download silently in the background as you continue working, which means no more big notifications getting in your way as you’re trying to email. The download then completes the next time you restart Outlook. When new users download Yesware, default tracking events for both senders (the users themselves) and colleagues are now set to OFF. To alert new users in-app and make things easier for them, we’ve also added a notification window with a button to quickly change your preferences. Send Later is even more reliable. As soon as you schedule an email, we use Gmail’s API to locate that scheduled draft rather than waiting until the send time arrives. 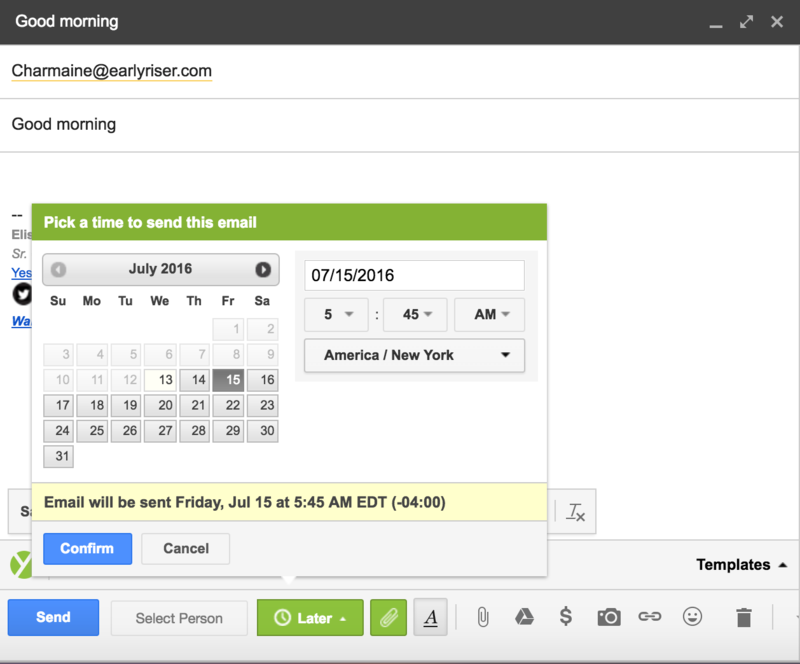 This makes it easier for our system to locate scheduled emails when it comes time to send (with the exception of a user deleting the draft or choosing to manually send it earlier than the scheduled time). 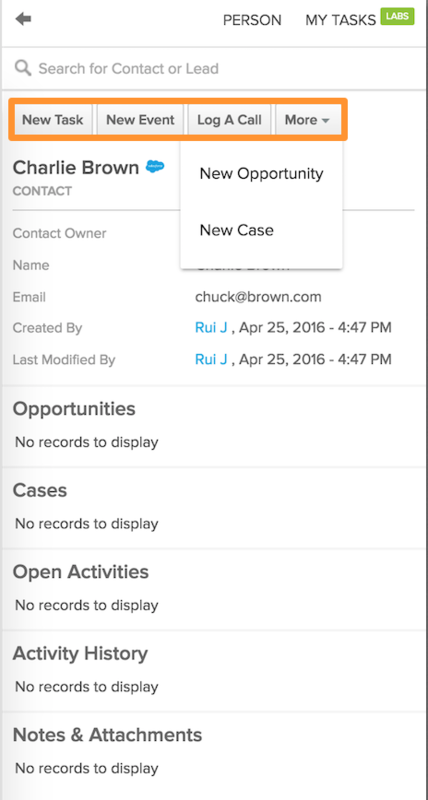 We’ve incorporated emails Sent to CRM and % Sent to CRM into the Team Tracking Report on our app site, and pulled them out from the Team Activity Report. 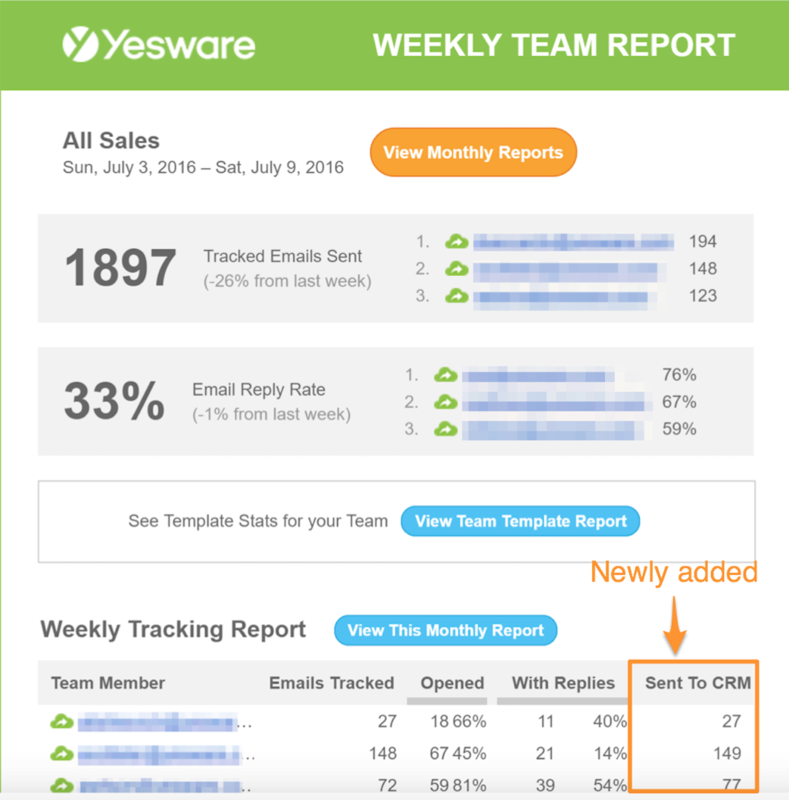 Team leads of Team, Enterprise, and Prescriptive Analytics packages will also start seeing the Sent to CRM metrics incorporated into their Weekly Team Report that they receive by email. We’re constantly working to improve your experience as a Yesware user, which spans from fixing minor bugs to building new features. Take a look at all the things we’ve shipped this month to keep you selling smarter and faster. We made a significant performance improvement to Salesforce Sidebar that reduces loading time from 60% to 90%, depending on a user’s Salesforce configuration. The Events feed has a slightly updated layout, now showing time and platform without the user needing to scroll over the event. A bug was causing some images that were embedded in Yesware templates to not show up in Outlook; we fixed it. We fixed a bug in our extension that caused the “Send Later” marker in scheduled emails to be removed when users edited a message.